Our minds are only a portion of our intelligence. What we know we think, what we think we think, what we can track and put into language, orderly narratives, well-woven stories. The data collecting, computing mind. A fraction of our intelligence. But the health and flexibility of our minds affect everything. Especially in a society which places intellectual intelligence above all others. In neglecting and ignoring the multi-facetedness of intelligence, we sell ourselves short not only with regards to our under-valued smarts (emotional, physical, intuitive), but also by misunderstanding our brainy smarts. We give them jobs that are inappropriate and tell ourselves we can think our way into, through, and out of anything, setting ourselves up for failure by putting all our energies behind an impossible endeavor. This full moon makes a T-square with the Sun and Neptune, opposing the Sun and squaring Neptune. It's a tense placement that will highlight difficulties we have between the information we process and share, how we know who we are, and what gives us a sense of connection. The moon will have us wanting to be in the flow of information. It may give us new perspectives that clarify and illuminate, or it may fill our space with extraneous perspectives that confuse and send us spinning. It's a moon full of ideas. It's a moon that wants emotional detachment but probably won't be able to achieve it. It will hit too many nerves. It will activate the parts of us that feel everything. It will cause us to question who we really are, and what we build that around. It will make us aware of the ways we play hide and seek with truly experiencing life. The moon is full just a day after Mercury stations retrograde while conjunct Saturn. The beginning of a review period that will teach us about the consequences of our communications. This adds a certain weight to the questions of self, mind and connection that the Moon's T-square brings up. Questioning ourselves can be invaluable. It can distill us to our essences, help us shed old skin. But both Sagittarius (where the Sun is) and Pisces (where Neptune is) can swing wildly between hope and despair. Sagittarius calls up sweeping declarations while Gemini asks ever more questions. Neptune can drown in a sea of tears or escape into an illusion in response to any overwhelm. We will need all of our intelligences to help us stay centered and present. What we refer to as the mind does not need to be the driver in order for us to be safe, well, balanced and mentally healthy. It needs the right jobs. It needs to be healed. Rewired. Freed of conditioning that is based in trauma and oppression. The mind is susceptible to illusion. When we think we should be able to think our way through things, the mind will hurry to make up explanations in lieu of actual understanding. When our identities are dependent on having the world "figured out," asking questions feels like it will erase us. Exposing our mirages makes us feel like we will disappear. Without a cohesive sense of self that is based on the importance of all our parts, the collapse of out-dated structures of thinking leaves us devastated. Without that central self and a mind that is willing to shed, we cannot connect to the larger web that holds us. We retreat from the truths of others, we numb out, shut down, lash out or make up fantasies about connection and understanding without being able to actually show up. It happens when we are confronted with our place in the scheme of our collective wounding and it happens in our most intimate relationships. How can you become more willing to shine a questioning light into your own mind? A well-supported, emotionally and spiritually intelligent questioning light? One that can reveal more of your true self, instead of staying attached to brittle structures that take the place of a well-rooted core? We must learn to see the workings of our minds. We must be willing to see and challenge our own filters, see the traps we lay for ourselves, face the ways we try to escape, the gaps in our thinking and in our emotional stamina. 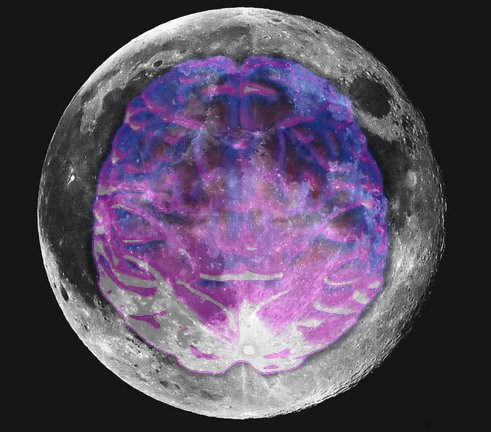 This moon can teach us about how our relationships with our intelligences can enhance or block our ability to connect with spirit and those around us. It can teach us about how they take us closer to or further from a clearer understanding of ourselves and the journeys we are on. Information abounds. Sometimes the prevailing energies will filter it and focus it, but a Gemini moon wants it all. We will have to practice our own filtering, our own discernment. We will have to notice our ability to engage with the flow and quantity and take care of ourselves accordingly. We will need to make room for ourselves to actually process the information that is important to us, which is a full-self endeavor, not an intellectual one. Take time for quiet. Engage your beautiful, fiery life-force. Make time for prayer, sleep, and meditation. For tears and love. Take in what brings you closer to yourself, however uncomfortable that information may be, and leave the rest to swirl away on the wind. Stay open to real magic, the wild realms of possibility, and hope, all three beautiful fuels for the hard, sometimes painful work of actually healing our minds. We have to see the patterns before we can change them. We have to face the systems and habits we create, the deep tracks in our thinking that keep us ending up in the same old places. The ways that we communicate that keep the best of parts of ourselves from speaking our love into the world. This is the information that is precious. The clues and questions and insights that are relevant. The exposure of our unconscious filters is a tremendous gift. The revealing of those of our fantasies that take us farther from reality- that magical, mysterious thing- rather than closer to the heart of it, is a treasure. The things that challenge us to create and define ourselves by something greater than what comforts the ego are offerings of love from life to us. If we can cultivate and honor all our types of intelligence, we will be more able to heal any one of them. If we can be in our hearts, guts and spirits, we stand a better chance of freeing our minds. Healing our minds, we can show up with more of ourselves to everything we touch and do.